Sometimes you just need a fuzz that says "I’M A FUZZ!!!" 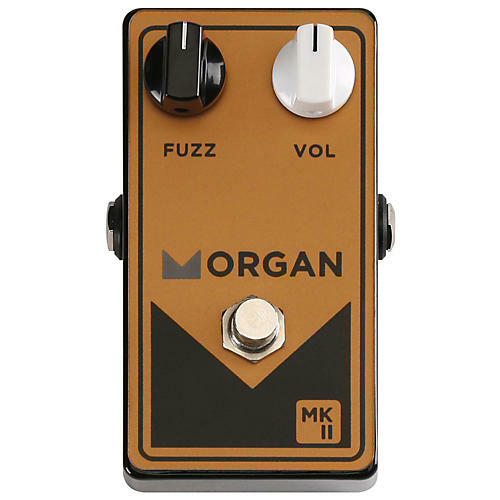 The MKII is based around the Tone Bender circuit with 3 germanium transistors, it’s a fuzz with a capital F. In there Los Angeles facility, Morgan found a secret stash of forgotten NKT275 transistors. Their chief designer, Joe, is using 3 hand-selected NKT275 transistors on this project. These transistors have been selected to recreate that classic “Spirit In The Sky” tone. It's totally decadent and unapologetic fuzz tone. This pedal will also be limited to the amount of transistors Morgan has in stock, so when they're gone—they're gone for good! Get yours today.